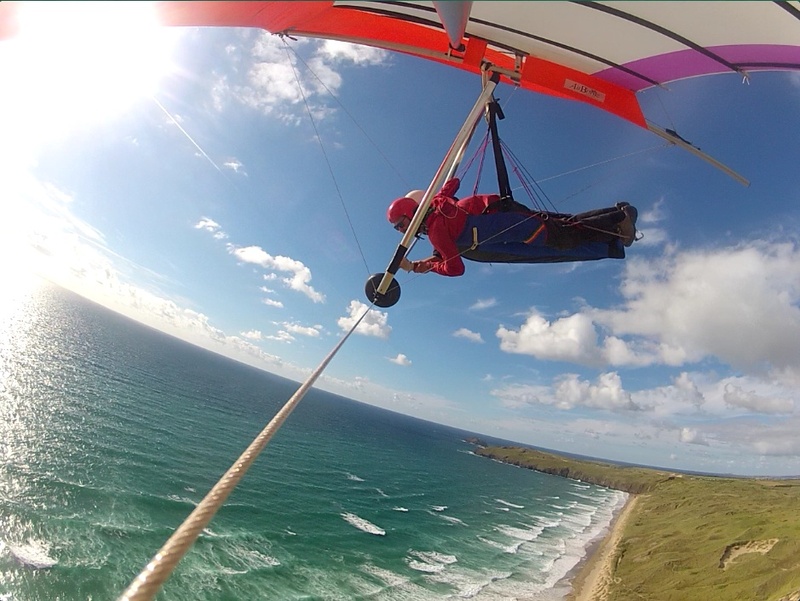 Tandem Hang Gliding flights are all "hill launched" and take place from a suitable site, when the wind is blowing onto the hill. 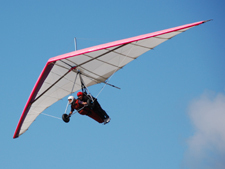 The Hang Glider takes off into the "lift band" and soars along the hill climbing in altitude giving spectacular views of the coastline. 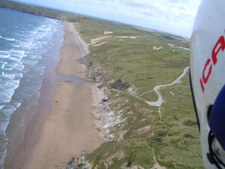 Flights normally last for between fifteen and twenty minutes, conditions and passengers permitting and consist of soaring above the Cornish cliffs with the seagulls before hopefully landing back on top with a huge smile! The only real limiting factor as far as passengers are concerned is that of weight and this must be disclosed prior to booking, sorry that goes for the ladies as well! Flights are weather dependent so no firm date can be given but every effort is made to accommodate specific wishes. 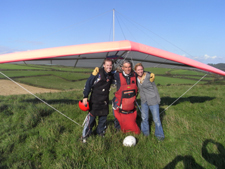 Costs involved are £119.00 for the flight and £10.00 for mandatory temporary membership of the British Hang Gliding and Paragliding Association which provides legal liability insurance (third party). An ideal gift, one to remeber!